Sara became a regular teacher at Amsterdam Dance Centre since the 6th of May. She gives Contemporary advanced every Friday at 12:00. 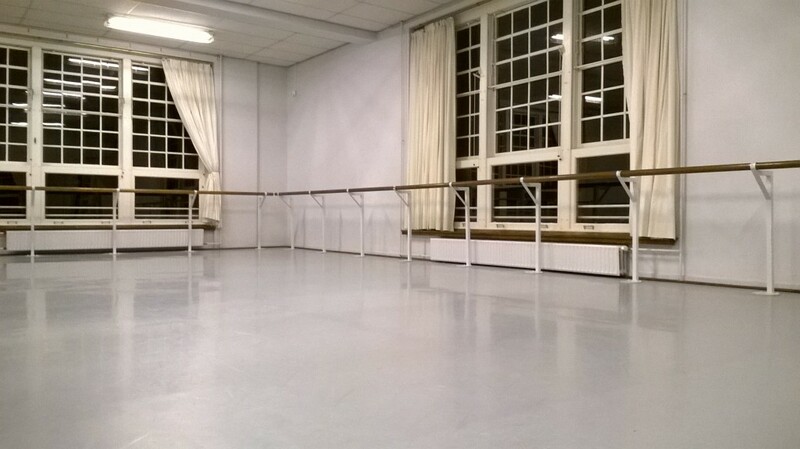 Amsterdam Dance Centre (ADC) is now located in a brand new building with 4 beautiful, spacious studios in the CENTER of Amsterdam. ADC offers also a wide range of dance classes 7 days a week, 360 days a year, all levels! The emphasis of the contemporary advanced class of Sara lays on floor work, flying low technique and the continuity of movement. Come and try her class! Posted: May 26th, 2016 under Performing. 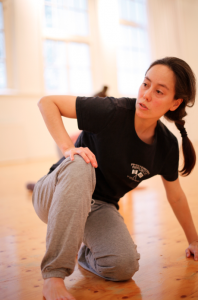 From Wednesday 16th March Sara will be giving contemporary dance classes at Studio Seven from 16:30 to 17:50. These classes are suitable for beginners. The basic class is built from a mixture of modern and contemporary dance techniques. It includes: Floor Work, Release Technique and Cunningham (curves of the back). The emphasis of this more elementary class lays on: relaxation, body awareness and alignment. Students will work on the weight of the body, the use of the proper muscle tone, breathing, continuity of movement and the projection of the body in the space. Different skills are developed related to rhythm, elasticity,flexibility, coordination and body memory. Posted: March 14th, 2016 under Workshops by Sara. Posted: March 13th, 2016 under Performing. Since February 2016 Sara is giving ballet classes to kids at Studio Anna Mora. In the class she works at musicality, rhythm and dance technique. The children, all younger then ten years old, are stimulated in their coordination, imagination and self-confidence. All lessons are based on a theme, supported by well-chosen music. The participating kids will be challenged to show themselves theatrically and develop their dancing talents in multiple ways. Posted: March 10th, 2016 under Performing. 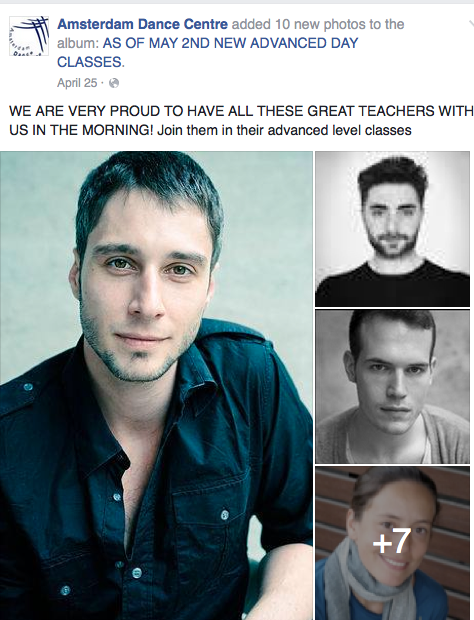 Since 2014 Sara is a replacement teacher of modern dance for Amsterdam Dance Center in the capital of The Netherlands. 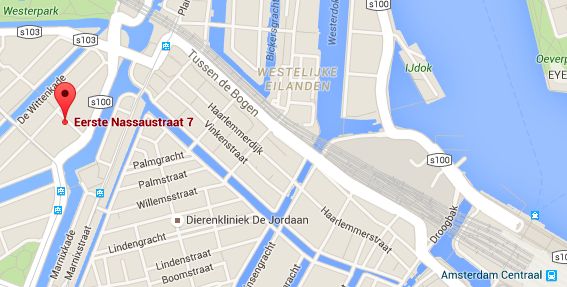 Amsterdam Dance Centre (ADC) opened its doors for the first time on January 17, 1995. A wide range of classes including jazz, classical and modern ballet are offered. Amsterdam Dance Centre has dance classes for adults and children, for professionals and amateur dancers and ADC is open all year. Posted: March 4th, 2016 under Working Experience. 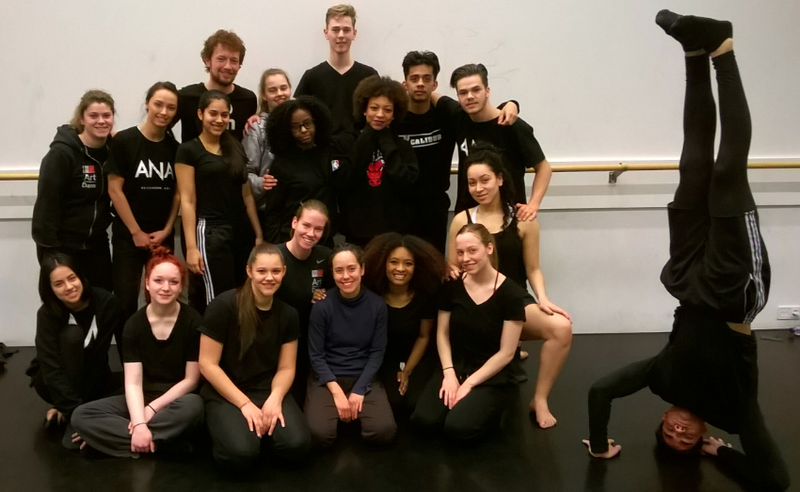 Sara gave classes of modern dance at Balletstudio Marieke van der Heijden to teenagers and adults from January to March 2016. 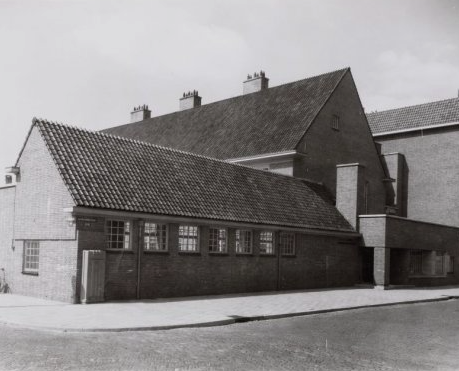 The ballet school opened its doors in 1979 in Amsterdam. The small team of teachers and the small groups of students gives the school a unique atmosphere, many students spend several years in school. For a number of years the studio is cooperating with the National Ballet Academy. 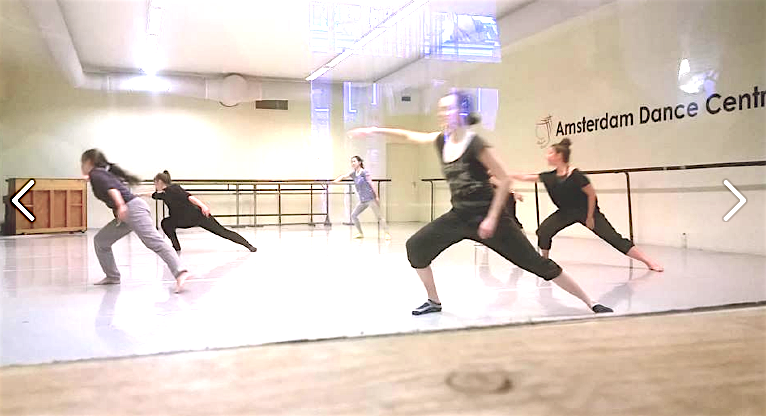 The National Ballet Academy is the only dance training in the Netherlands affiliated to Het National Ballet. Posted: March 1st, 2016 under Working Experience. The class is a mixture of modern and contemporary dance techniques. It includes Floor Work, Release Technique and Cunningham (curves of the back). During the class we will work on the weight of the body, the muscle tone, the continuity of the movement and the projection of the body in the space using the breathing. With the technique of Contemporary Dance the dancer develops like in ballet technique different skills as the rhythm, the elasticity, the flexibility, the coordination, the body awarness and the interpretation of the movement, among others. The class is suitable for intermediate level and beginners with some background in movement or dance. This class however is not for ‘absolute beginners’ (with no or little movement experience). 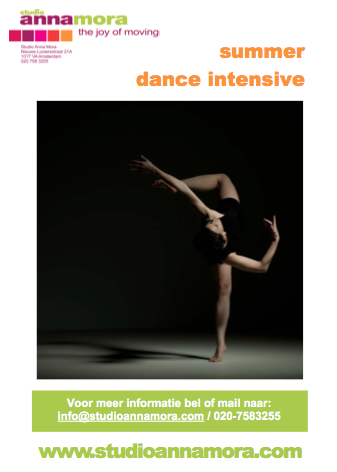 If you are restarting dance classes after having stopped a few years, you can definitley join. Also intermediate beginners (who like some variety in the classroom, and prefer a steady pace) are very welcome. Posted: February 20th, 2015 under Working Experience. 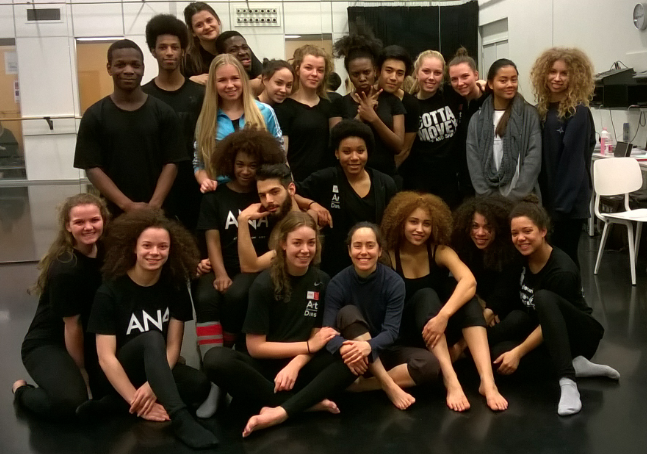 Since October 2014 Sara has been teaching modern dance at Art&Entertainment College Amsterdam (ROCvA). 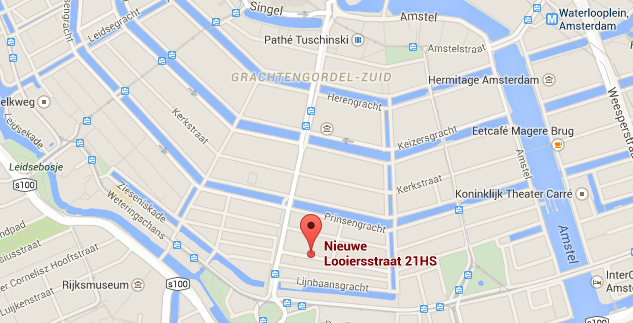 She replaced the teacher Rosan van Essen until March 2015. The classes were given to 4 groups: 1st, 2nd, 3rd and 4th year (see pictures below). Posted: December 12th, 2014 under Working Experience. 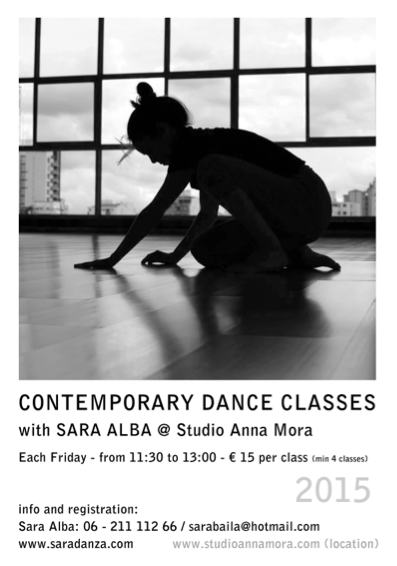 Studio Anna Mora invited Sara to teach in July, during a special program called ‘Summer Dance Intensive’. The well facilitated studio of Anna Mora, owned by a wonderful Mexican woman named Anna, is located in the cozy center of Amsterdam. Anna Mora herself guarantees a very warm welcome. The intensive workshop that was organised in July featured a series of dance classes by several teachers. Sara’s class was built up with a first hour of technique and a second hour of improvisation (see full discription below). Before this summer workshop Sara also had replaced another teacher to give modern dance classes at the studio and also gave some private classes later. The class is built from a mixture of modern and contemporary dance techniques. It includes: Floor Work, Release Technique and Cunningham (curves of the back). The emphasis of this class lays on: relaxation, body awareness and alignment. Students will work on the weight of the body, the use of the proper muscle tone, breathing, continuity of movement and the projection of the body in the space. Different skills are developed related to rhythm, elasticity, flexibility, coordination and body memory. 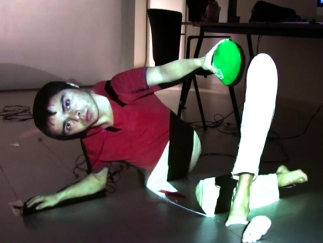 The primary focus of this class is to explore the possibilities of movement. This is achieved in a free and experimental context. Working creatively with movement will allow the students to understand important principles of contemporary dance in a very natural way. Concepts like spatial awareness, spontaneity, alertness (being in the moment), trust, contact and risk will be researched through different assignments, all resulting in a fun practice, highly enjoyed by the students. Posted: August 12th, 2014 under Working Experience. In April 2014 filmmaker Cesar Ortiz made a portrait of Sara for the Colombian television station Señal Colombia. It is part of a larger TV-series on Colombians abroad within the program “En Órbita”. You can watch the clip in YouTube (below) to get a nice glimpse of Sara’s life in Amsterdam. 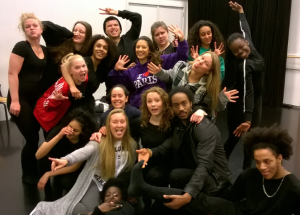 She speaks (in spanish) about her passion for dance, her activities over the past few years and her appreciation of working with students from different cultures around the globe. Posted: May 29th, 2014 under Press.